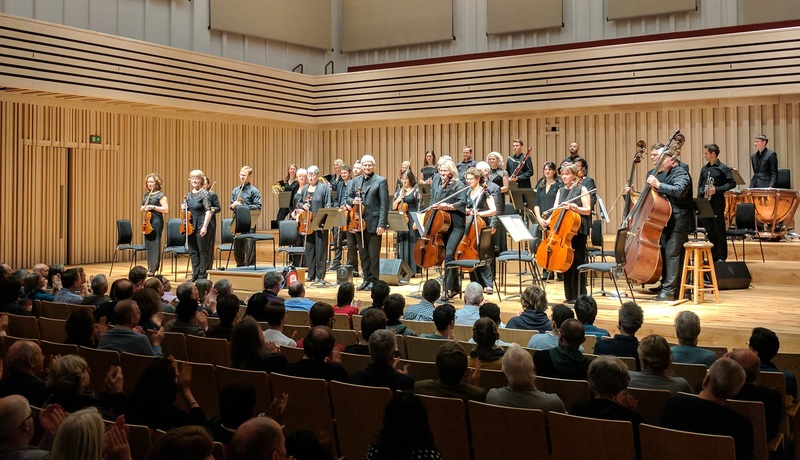 The Northern Chamber Orchestra has over thirty critically-acclaimed CDs to its name (the majority of recordings being for the Naxos label), which are often played on BBC Radio 3 and Classic FM. Vivaldi Gloria;Telemann Overtures and Orchestral Suites (including ‘Don Quixote’); Bach Cantatas; 18 Haydn Symphonies; 25 critically-acclaimed Mozart Symphonies; the complete set of Mendelssohn String Symphonies;Rawsthorne’s Concerto for String Orchestra and Divertimento; Stravinsky’sSoldier’s Tale and Dumbarton Oaks; the Violin Concerto and Elegy by Simon Lambros; Manchester Accents – a collection of pieces by composers with connections to Manchester and Rodrigo Guitar Concerto. Most recently, we recorded music by the distinguished British composer, David Ellis and gave the first-ever recording of Geoffrey Bush’s Sinfonietta Concertante for Cello in 2013, with internationally-renowned cellist – and NCO president – Raphael Wallfisch (released on the Lyrita label in 2014). You can buy our CDs from our shop below, or call our office on 0161 247 2220.